Sean J Vincent Blog: Atomos Ninja... after 2 weeks on set. A few weeks ago, i bought the Sony FS100 and an Atomos Ninja Pro Res recorder. I decided on the Ninja after months of reading up, testing and research. One of the first things i did was update the software to Version 2...this gives you full quality playback which is vital in the field. I meant to buy a pair of spinning drives and an SSD for all the action shots we would be shooting. As it turned out, we never got an SSD...so the whole shoot was done on regular spinning drives...and only 5400rpm ones too. There was lots of running around with the FS100 and Ninja on a shoulder rig... and only twice in 2 weeks did the drive not cope. Both times the rig was being really shaken about. All the other times it performed perfectly. I think this proves that Atomos are right... for 99% of the applications, the regular spinning drives cope well enough. It was so nice to be able to whack the drives into the docking station and check the rushes back on my MacBook Pro. We could see instantly what was working and what wasn't. Things like strobing... which often didn't show up too clearly on the monitor were all too evident once the footage was viewed full size on the Mac. This kind of flexibility is what makes the Ninja system so perfect for feature shooting. The dual battery system meant we never lost power...and they lasted for ages! Problems? Well...not really. The only slight issue i have with it, is that you can't erase a take you know isn't needed... you can only format the whole drive. (on the unit itself) And... sometimes the take numbering goes a little astray... but if you're good at keeping logs, you won't get lost. The more full the drives get, the slower they access the files for playback... this can slow you up a bit when you're checking back takes on the Ninja itself. But it takes no time at all to whip out the drive and replace it with a fresh one... so it's no biggy. There's been a lot of talk on Vimeo and other sites that the Pro Res files on the Ninja don't look any better than the FS100's native AVCHD files... and to some extent, that is true.... right up until you try to grade or colour correct in anyway. The Pro Res files let you really go to town... you can pull and twist the colours and it really takes a lot before the footage breaks up. The original AVCHD files do not behave this way at all. You can whack a Magic Bullet preset on them, sure... but you try and do anything more adventurous and you'll come unstuck. We're shooting everything really bright and well lit and then darkening the whole thing down in post.... this only works without adding noise and banding using a high bandwidth codec like Pro Res. AVCHD is fine for weddings or event video stuff...but for indie features? It's not good enough. If you're looking to shoot something great with one of the new large sensor cameras, you'd be mad not to try and capture as much information as possible before you start messing with it in post. Other stuff? Well, it comes in a seriously good quality case...with 2 batteries, a dual charger, a really nice docking station with 2 x FW800 and USB2... and all the cables you need. I used 2 x 160GB HDs in it... i know there are bigger... but 160GB was perfect for one days's shooting and it meant i didn't have hours and hours of footage living precariously on the Ninja drives before the nightly back ups were made. So... there it is. The Ninja rocks. Oh and one more thing. I really needed a short HDMI cable... and the only one i could find cost £5 in Tesco. I could have spent 10 times that... but the cheap one worked perfectly. It does my head in that Hi Fi nerds say you need expensive cables... as long as you're not constantly plugging and unplugging... cables are cables as far as digital data is concerned. They work, or they don't... and my £5 cable worked fine...and it's still going. I'm looking forward to shooting on the Ninja again this week and on future productions. It will be interesting to see what other functionality Atomos add to it next. I have to add that in the last couple of day's shooting... the Ninja has begun to play up. It's not been happy playing back any clips and keeps locking up. Last night it came up with a screen saying 'firmware update failed'... which is odd, as i updated the firmware when i got it and it's done 3 weeks work since then. 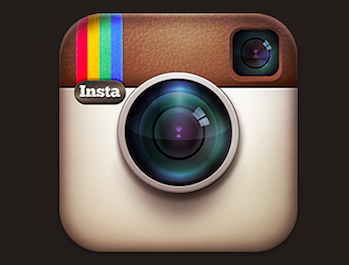 I guess i'll try to update it again and hope it solves the issues. To be fair, it's still be capturing the footage...i just haven't been able to play it back on the unit itself... which is a bit of a pain on set. What about us editing in premiere.. Does the ninja work for us or we will have to look for a diffrent recorder? 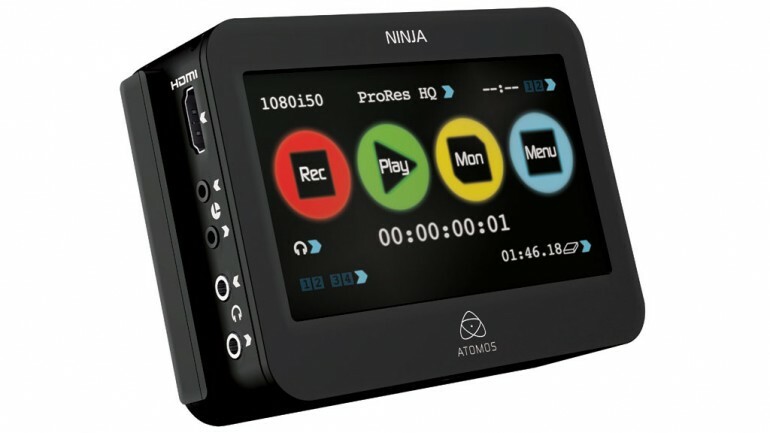 The Ninja will work fine with Premiere as long as you have the pro res codec installed. Does the Atomos receive and record audio from the FS100 via the HDMI connection? Hi Ben, yes, if you are capturing audio via the camera, it will be passed to the Ninja. It even has little VU meters so you can the signal is getting to it. Jeromy Young here from Atomos. Thanks for the great review. Don't forget to register for your 3 year warranty (free upgrade from 1 Year) simply register with us, this is so we can tell you when the new firmware is available and the great features we have added to the Ninja and Samurai. We are trying very hard to give smarter production and post production tools so people can work faster at higher quality and be truly creative on a budget! Direct from sensor recording to a post production codec is always mind blowing. Hope you like being able to record to HDD's as well as SSD's, I find it very affordable to use HDD's. Thanks again for the kind words about the product and if you have any issues or need any advice give us a yell at support@atomos.com. 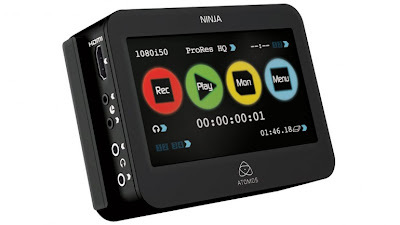 We have a new Ninja firmware released this week here so take a look. We address the file picker issues and screwy numbering on occasion (it now is perfectly sequential). > Record indicators added to the monitor page - 'Rec' icon plus horizontal red lines on the top and bottom of the monitor indicate that the unit is recording. > New file picker - the scene/shot/take picker has been replaced by a file browser. The unit will stay in playback mode when a HDD/SDD is removed. >Fixed incorrect drop frame timecode indication during playback for 1080p movies. > Fixed incorrect 60fps drop frame timecode indication. Fantastic... thanks Jeromy. Just installing the firmware update now. Will test it out asap. Were you using 25p at the camera and out to the Ninja? Also have you found the FS100's LANC doesn't trigger the Ninja. Mine doesn't but I believe Sony changed something with LANC rather than the Ninja being the problem. It's been a bit of a pain having set two things recording at the same time! You're right about the Sony Lanc not talking to the Ninja... it's a Sony thing, not the Ninja's fault. I rarely shoot to the camera at the same time, so it's not a problem. I only use the in-cam recording for the awesome 1080p slow-mo. Jusd used the Ninja with my fs100u today for the firs time. Couldn't get it to work on set yesterday until reading about the Ninja's inability to record 1080p with the settings I had been sending out. So I have to do a pulldown, no big deal. It worked very well for me today with the shipped firmware. Will be looking to grab a rain cover for it but really look forward to continue using it. +1 on the shorter HDMI! That was an oversight for sure but 60 seconds of wrapping took care of it. Went straight to Fry's and grabbed an 18" that works perfectly. If I'm recording audio on an external mic through a field mixer connected to the camera (FS100) via the camera's XLR input, will that audio be fed to the Ninja via the HDMI cable? The Addicted. End of main location shoot.